CIWM Journal, Let’sRecycle, and Materials Recycling World cover the independent review into serious and organised crime in the waste sector, published by the government yesterday. The independent review, ordered by the Environment Secretary Michael Gove, looked at the government’s approach to tackling waste crime which cost the English economy more than £600 million in 2015. The review found that the government should give criminals responsible greater cause to fear the consequences of their actions. The review recommends rogue waste crime operators should face new fines if they mislabel their waste to dodge tax rules, and compulsory electronic tracking of waste could help clamp-down on illegal movements of waste at home and abroad. The threat to society from waste crime is real. Criminals are running illegal waste sites as a cover for theft, human trafficking, drug running and money laundering. It is costing our economy millions of pounds each year, and blighting our communities. I welcome today’s review. We are committed to clamping down on these unscrupulous groups and we will set out our next steps in our forthcoming Resources and Waste Strategy. A study by the Home Office suggests that criminals may use waste management activities such as operating illegal waste sites as a cover for crimes such as theft, human trafficking, fraud, drugs supply, firearms supply and money laundering. 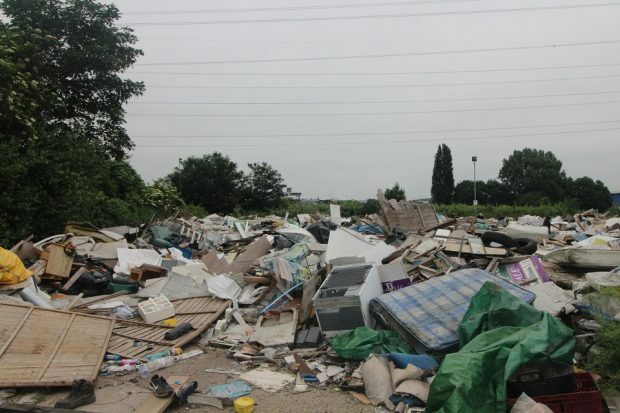 While an average of two illegal waste sites are shut down every day, they continue to create severe problems for local communities and business, particularly in rural areas, as well as posing a risk to key national infrastructure. Since 2014, the Environment Agency has been given an extra £60million by the government towards enforcement work to tackle waste crime. The extra investment has shown a return of about £5 for every £1 extra spent. The review builds on recent government measures to tackle waste crime, including new powers for the Environment Agency to lock the gates to problem waste sites to prevent waste illegally building up and powers to force operators to clear all the waste at problem sites, and extending landfill tax to include material disposed of at illegal waste sites. The government also recently announced a new pilot scheme that will make available up to £10 million to the Environment Agency to work with partners to clear the worst abandoned waste sites that blight local communities. The recommendations of the review will now be considered and responded to in Defra’s forthcoming Resources and Waste Strategy. There is coverage today in the Guardian and across the BBC of a new Committee on Climate Change (CCC) report on future land use. The report calls for an acceleration in tree planting and a change in the way we manage land in the UK, particularly for food production. The UK’s decision to leave the EU provides an unprecedented opportunity to reassess the way we manage agricultural land for the delivery of public goods. Our 25 year environment plan sets out our vision for the delivery of public goods, including climate change mitigation and adaptation. We are currently establishing the framework for future land use policy under the Agriculture Bill. The government is committed to taking action to mitigate climate change and to adapt to its impact. As the cornerstone of future agriculture policy, the new environmental land management system will pay public money for the provision of environmental public goods, including paying farmers and other land managers to mitigate the causes of climate change and enabling nature’s adaptation to it. We are taking robust action to ensure our country is resilient and prepared for the challenges a changing climate brings. Our 25 Year Environment Plan commits us to improving the resilience of our infrastructure, housing and natural environment against climate change, and our forthcoming Environment Bill will build on this vision. Climate change is also explicitly among the ‘public goods’ listed in our Agriculture Bill that we want to pay farmers for outside the EU. We welcome this report as an important contribution to the evidence base on land use, and will consider its findings carefully. 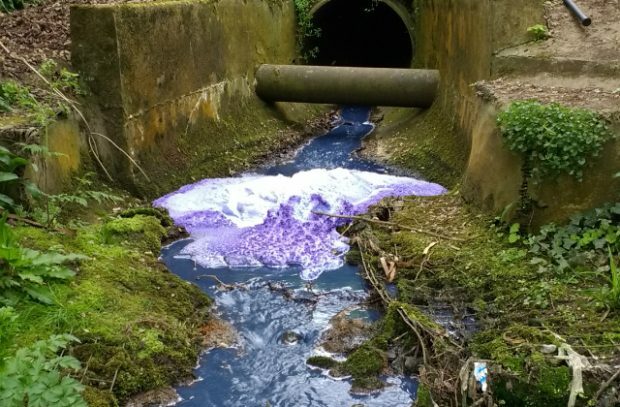 The Sun, The Metro, Western Daily Press, The London Economic and Somerset Live have covered the unusual case of pollution which turned the River Yeo bright purple. Businesses must never pour any waste down surface water drains as they are often connected to nearby streams or rivers. By disposing of waste in this way you are committing a criminal offence. This prosecution serves as a timely reminder for businesses to act responsibly. Where we have evidence, we won’t hesitate to prosecute offenders.